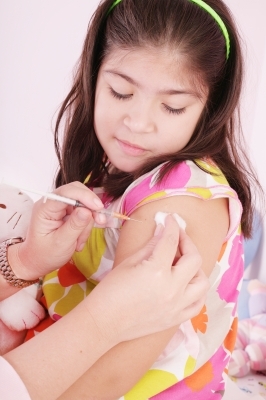 It’s that time of year again: back to school, seasons changing, and campaigns for the flu shot. I am already seeing the advertisements on drug store signs telling customers to get their flu shots now before they run out. Not only should we be scared we might get the flu, but there might not be enough shots. Yes, the flu shot is here, but should you or your family get it? I have never had a flu shot. My understanding is that it is developed based on what medical scientists believe will be the prevalent strain this upcoming year. They don’t always get it right. People die from the flu. It’s true and not just the elderly and very young. An acquaintance of mine died last year from the flu. He was in his early forties. Like all vaccines, I am sure the flu shot has saved lives. In my unscientific experience, friends and extended family that get the flu shot end up getting sick as much as those of us who do not But what to actual medical doctors think? Last year, a doctor from Johns Hopkins, a university I hold in high esteem for being the first to operate on my son’s heart condition over sixty years ago, is raising concerns about the flu shot. This enormous growth has not been fueled by popular demand but instead by a public health campaign that delivers a straightforward, who-in-their-right-mind-could-possibly-disagree message: influenza is a serious disease, we are all at risk of complications from influenza, the flu shot is virtually risk free, and vaccination saves lives. Through this lens, the lack of influenza vaccine availability for all 315 million US citizens seems to border on the unethical. Yet across the country, mandatory influenza vaccination policies have cropped up, particularly in healthcare facilities,1 precisely because not everyone wants the vaccination, and compulsion appears the only way to achieve high vaccination rates.2 Closer examination of influenza vaccine policies shows that although proponents employ the rhetoric of science, the studies underlying the policy are often of low quality, and do not substantiate officials’ claims. As a student at Harvard, Dr. Doshi questioned the accuracy of the US Center for Disease Control’s reporting of influenza statistics, including death. He believed the data was more a public relations effort than based on science. Why would the CDC push flu vaccines if the numbers do not add up? Dr. Doshi has also been involved in demanding transparency in drug research conducted by drug companies used in the FDA approval process. I am thankful for individual like Dr. Doshi who are raising questions about public health in this country. For extensive research and information on the flu vaccine, please visit the Rutherford Institute. Every person considering the flu vaccine should read this information and discuss it with their doctor before being influenced by drug company campaigns. “Good Hygiene is More Effective than the Flu Vaccine”! As a citizen, I have noticed the campaigns and marketing to increase flu vaccination. Is this the best for public health, I cannot judge, but I do think we need to question it. thank you for your open minded narration of this troubling issue. It takes courage to go against what we have had to engrained into our culture as “safety” despite a total lack of evidence that the vaccine does what it is supposed to. Those who dare oppose the poor science of the vaccine and overestimation of the influenza virus are branded as basement dwelling “anti vaxxer’s operating under the tutelage of Jenny McCarthy. I applaud Dr Doshi’s courage, Canada is also under the seasonal hypnosis of the flu vaccine that sees doctors and nurses vilified for using their critical judgment on this matter. Ken Flegel, the editor of the Canadian medical Journal, wrote a monumentally flawed argument to advocate for mandatory vaccination of healthcare workers in the Canadian Medical Journal. Dr Flegel was publically admonished for his grandiose exuberance and was openly corrected for by a fleet of eminent scientists and physicians ranging from Michael Osterholm of the Center of Infectious Disease and Prevention (CIDRAP), Danuta Skowronski of the BCCDC, A professor of medicine from Dartmouth University,Peter Collignon, a Professor of Infectious Diseases and Microbiology at the Australian National University, and Dr Doshi, a Harvard/Johns Hopkins scientist to name just a few. A few months later, Michael Gardham, head of infectious disease at the prominent University Health Network were published in the same journal saying there was not enough evidence to promote mandatory vaccination of healthcare workers. Can these minds be dismissed and discredited? If the flu vaccine worked wouldn’t they endorse it to protect their own families and vulnerable loved ones? Flegels baseless plea illustrated how bad science and strong opinions are openly promoted in physician journals as fact. Although vigorously corrected by his peers, headlines were already blaring that “Canadian Medical Association demands mandatory vaccination etc.” The damage was done and the counter arguments never made the press. As Doshi says we are lead to believe that influenza is common – This is a lie. Dr David Tyrell, esteemed virologist and one of the original founder of the influenza virus, calls the confusion between influenza and the truckload of viruses that cause influenza like symptoms “dangerous colloquialism” The CDC perpetuates this misinformation that has seen influenza morph into the “go to” virus anytime we develop a headache, malaise, fever, coughing, sneezing and feeling generally crummy (even GI upset has become influenza). However, researchers have found that at most 20% and perhaps as few as 7 or 8 %, of such cases are actually caused by an influenza virus in any given year. More than 200 known viruses and other pathogens can cause symptoms known as “influenza-like illness”; respiratory syncytial virus, bocavirus, coronavirus, and rhinovirus; And depending on the season, in up to two-thirds of the cases of flu-like illness, no cause at all can be found. All of these pathogens are not influenza are not affected by the vaccine despite the magic bullet sentiment of the flu vaccine. thank you for your discussion of the other side of the coin of this over promoted vaccine and virus.